Hall of the Mountain King: Still Spinning: Warlock, "Triumph and Agony"
Then, you had these Germans fronted by a sultry blonde with every bit of the attitude the men of the genre showed at the time. Doro Pesch was metal with every fiber of her being. 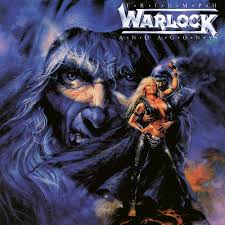 There was no pop sheen whatsoever to Warlock’s sound as with other female hard rock acts of the time. It was fast, heavy — and on occasion, gnarly and ugly, as metal should be. Triumph and Agony was the band’s fourth outing, and the final under the Warlock name. By the late 1980s, Doro Pesch was the only original member remaining in the band, and under legal threats from former members, decided to change the name to Doro rather than put her career on hold fighting for the name. But man, what a way to send it out. 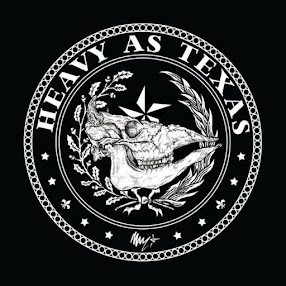 There’s no better place to start a review of this record than where it begins, with “All We Are,” probably the band’s best known song, and, for my money, one of the greatest metal anthems ever written. It’s got everything required — a huge sing-along chorus, a call to action, an us-against-the-world mentality that at the same time speaks of isolation and unity. And it’s just an all-around badass song. I can’t hear it without blowing out my speakers. But it’s just the beginning. Warlock packs a lot of power into only around 40 minutes of music. “Three Minute Warning” thrashes with a punk attitude, particularly in Doro’s shouted vocals. Then we get a Judas Priest-flavored number with “I Rule the Ruins,” that puts a spotlight on another one of those big choruses. A personal favorite of mine is “Kiss of Death,” a vampire tune from before the days when vampires were sparkly or a hot commodity, well, except maybe in metal. It slows the record down just a little bit, but it’s a very dark number with great hooks. It might be my favorite tune from Warlock or Doro. This being a 1980s record, there are, of course, ballads. The two here are a contrast in styles. “Make Time for Love” represents the fairly standard 1980s hard rock ballad. It’s not a bad song and features some of Doro’s best vocals on the record, but it also doesn’t stand out from the crowd overall. Album closer, “Fur Immer,” though, sung mostly in German, is a more symphonic, power-packed and emotional piece. It remains a fan favorite in Doro sets today. Balancing the scales from the two ballads are some very heavy songs in the latter half of the album. “East Meets West” is a tough, attitude-filled song with another one of those big choruses that seem to be all over this album. “Cold, Cold World” offers the feel of one of Sabbath’s more galloping tunes, maybe “Children of the Grave,” particularly in the drums. Cozy Powell, who would do a couple of stints with Sabbath a few years later, played drums on some of the tracks on this record, and I wouldn’t be surprised to discover this is one of them. But “Touch of Evil” puts the exclamation point on Triumph and Agony. Doro delivers her lyrics in an enraged and slightly insane screech over speed metal guitar riffing from Niko Arvanitis and Tommy Bolan, all culminating in this off-kilter banshee scream that would do Rob Halford proud. When talk turns to the great metal acts of the 1980s, Warlock won’t often get mentioned, but I think they deserve a lot more credit than they get. Doro was, arguably, the first woman to front a true metal band, and as this album shows, it wasn’t just a novelty. Perhaps it was the name change, or maybe the fact that they never enjoyed huge popularity in the U.S., but I’m guilty of overlooking them myself – at least until I hear one of the songs from Triumph and Agony. Having “All We Are” or “Kiss of Death” pop up in my shuffle, always sends me back to the rest of the album, and I remember what a killer record it really is.